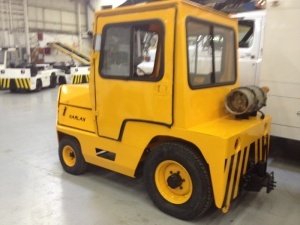 The Harlan GHTKJ-40 propane aircraft tug/ baggage tractor has a 4,000 lbs drawbar pull, a fully enclosed cab with heat, and is freshly painted. 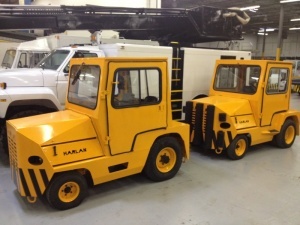 If you have any additional questions about this or any other ground support equipment we carry, please call us. We'd love to help you make a well-informed decision about your next purchase.